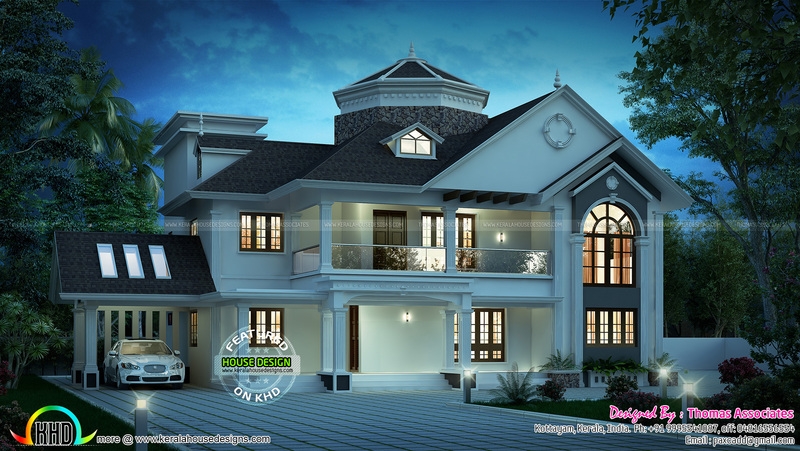 5 bedroom modern sloping roof house plan architecture. Total area of this beautiful house is 4350 Square Feet (404 Square Meter) (483 Square Yards). Designed by Thomas Associates, Kottayam, Kerala. Total Area : 4350 sq.ft. 0 comments on "Grand style sloping roof house with cost"